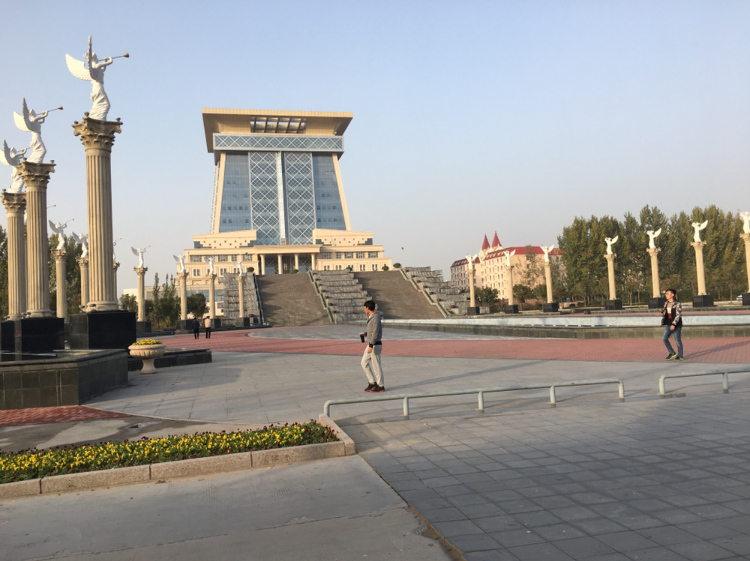 After our hour and a half train ride from Xian to Zhengzhou, we arrived at our partner school, SIAS International University. The university is absolutely stunning; the architecture is unbelievable! SIAS was founded in 1998 by a young entrepreneur. The architecture for the buildings was designed by and American man, Peter Weis (not NMH's debate coach and archivist), so many of the buildings and the campus had a feel of an American university. After we got settled into the SIAS dorms for the night, we had the opportunity to eat dinner with professors and students at the local university restaurant! The Welcome Dinner was a great experience. We got to try more authentic Chinese dishes specific to the Hen'an province, like chicken feet! At my table I sat next to Maxwell, a young English teacher at SIAS who attended college in Oklahoma. He earned his undergraduate degree in Petroleum Engineering and was very knowledgeable in teaching English as a second language. 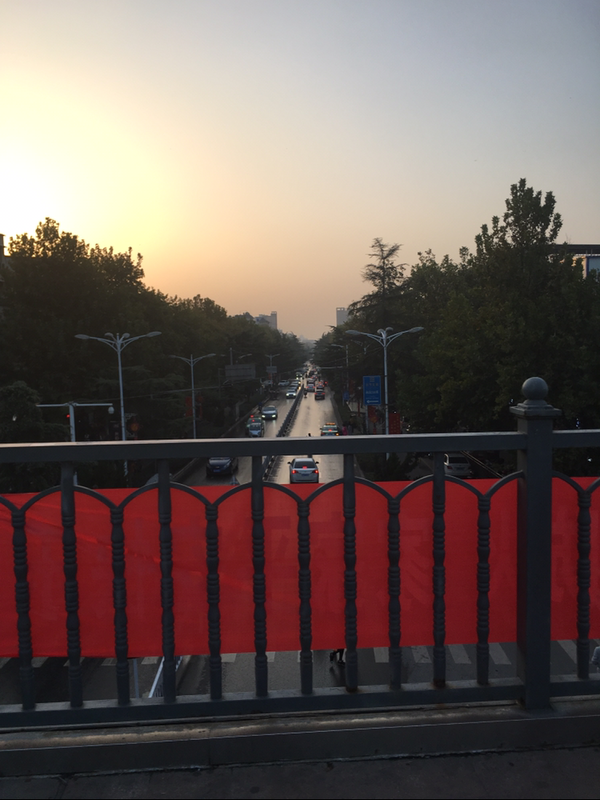 In China, English is one of the hardest majors according to Sapphire, a student at the university. The older professor that came to the Welcome Banquet told us more about Chinese culture. One interesting conversation we had was about how most teachers in China are women. The male teachers tend to be older and started teaching when male teachers were supposedly the better option for universities. In our discussions, we were able to hear more about the one child policy and understand it's origins and how it evolved over time. We learned a lot over dinner through such stimulating conversations. The following morning on Friday, we had the opportunity to eat breakfast at the international teacher building. The dining hall reminded me of NMH with all the teachers and families talking, laughing and eating together! The food was an interesting mix of Western and traditional Chinese cuisine. After breakfast we headed to a private class led by Zita, a professor who majored in teaching Chinese to non-native speakers. Her teaching style was similar to those taught in the US and at NMH. We did a lot of repeating and followed an interactive Powerpoint. Zita taught us some basic phrases, greetings and numbers (Fun fact: counting on your fingers in China is different than in the US: you use one hand, not two, and there is a different way to organize your fingers to show number six through ten)! Zita also taught us about the four tones used in the Chinese language. One interesting concept I didn't know about is Pinyin. Even before students in China learn characters, of which there are 90,000, they learn English letters! This is because each character represents a word. For example, there is a character for bunny and a character for dinner. Because it is impossible to know how to pronounce the character just by looking, Pinyin (or English letters phonetically arranged), is used in dictionaries and when typing to identify how to pronounce characters. 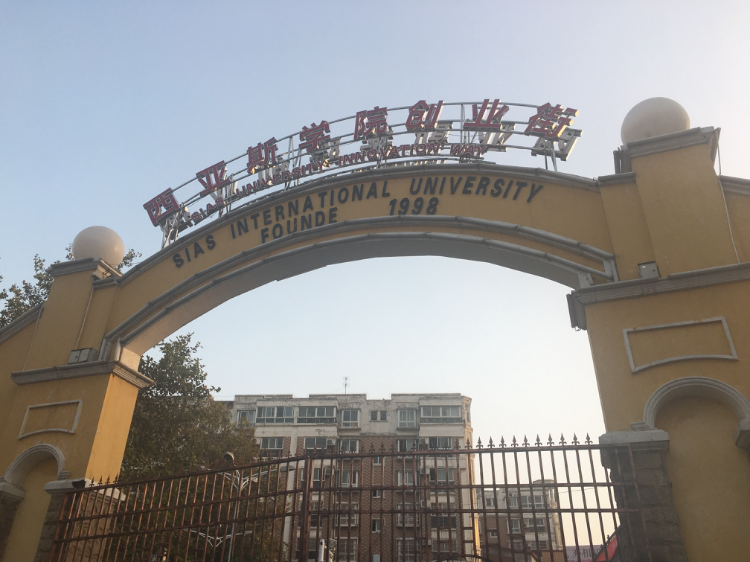 SIAS's generosity and hospitality is very much appreciated and we can't wait to continue exploring China!